Wooo! Your picture was sufficient. 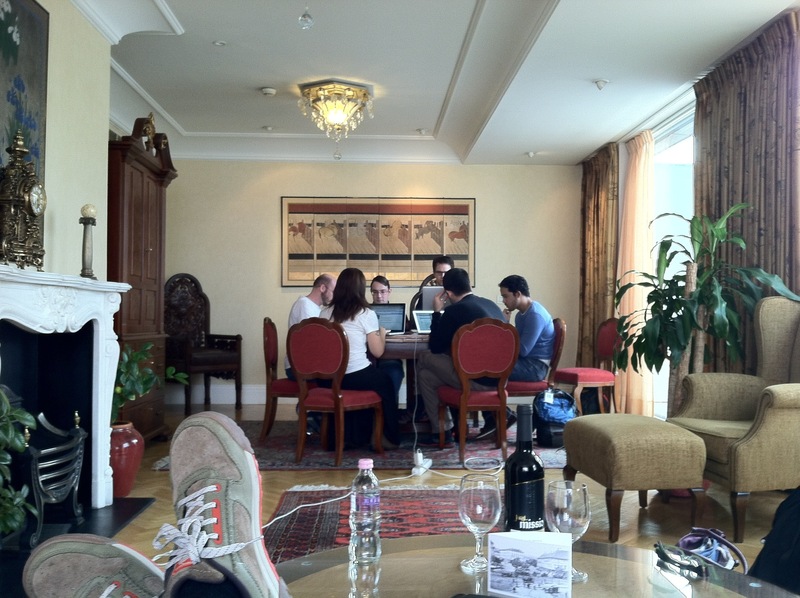 James reblogged this on MacManX.com and commented: Hard at work, in Budapest. The shoes are a nice touch. Such a sumptuous room!